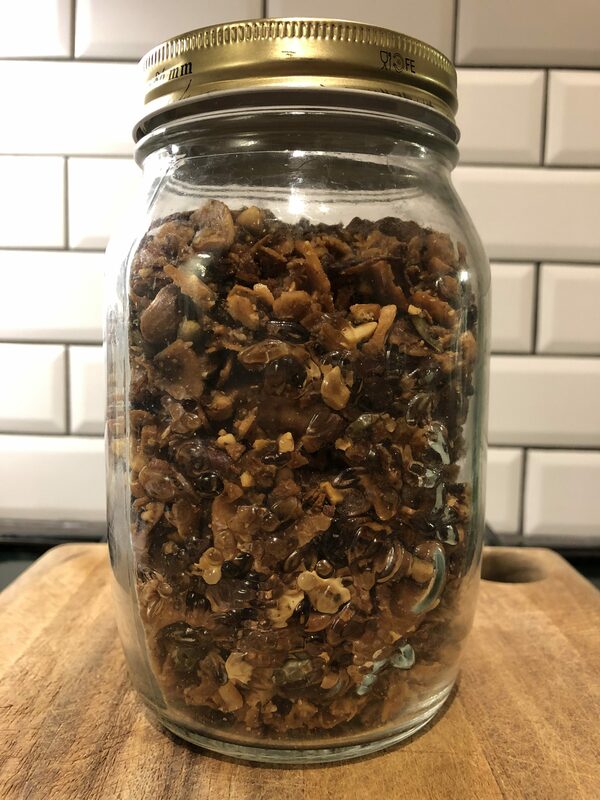 One of my amazing clients posted a recipe for granola in our group chat. 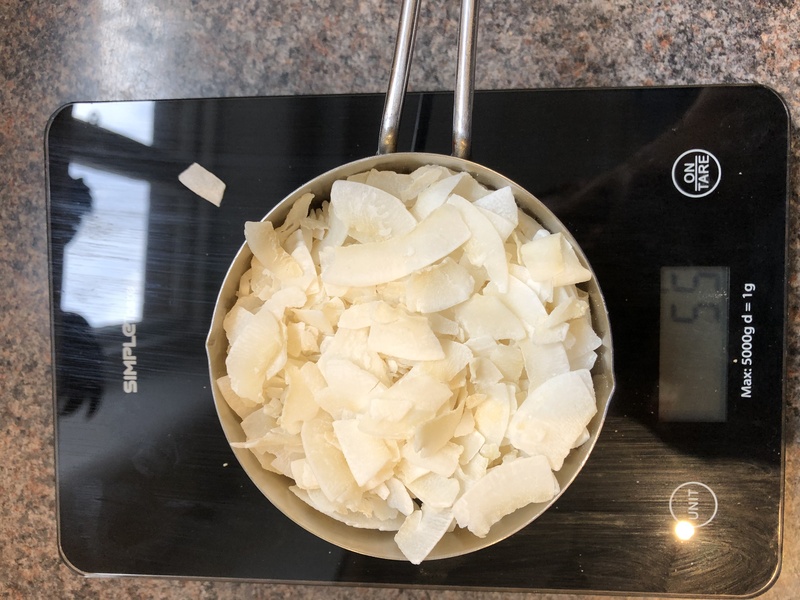 I was not far away from saying that the recipe looked great, some words of appreciation and encouragement, followed up with some emojis when it dawned on me… I can do better than that. 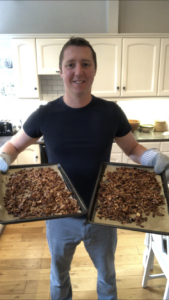 The recipe was a coconut and nut granola, so obviously my high fat content alarm bells started ringing. But what was the macro balance, how many calories were in it and did it actually taste any good? Only one thing to do; get measuring and get cooking. 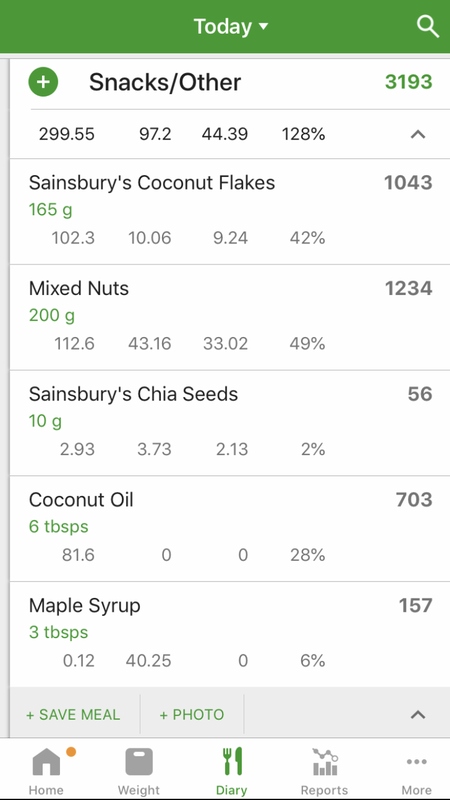 So I measured out all the ingredients and weighed them (it was a US recipe with most of the ingredients in cups, I needed grams) and then stuck all the data into a food tracking app for the nutritional breakdown. 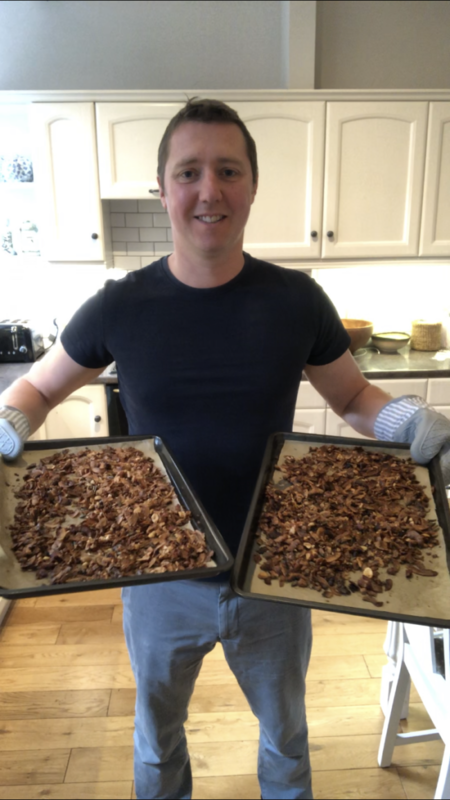 So the recipe ended up making around 440g of granola with the macro break down being approx. 3,200 calories with a macro breakdown of Carbs = 100g, Fat = 300g and Protein = 40g. 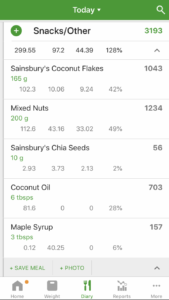 If you were on a 1,600 calorie per day programme with 30% intake of calories from fat this would give you a target of 53g of fat per day. 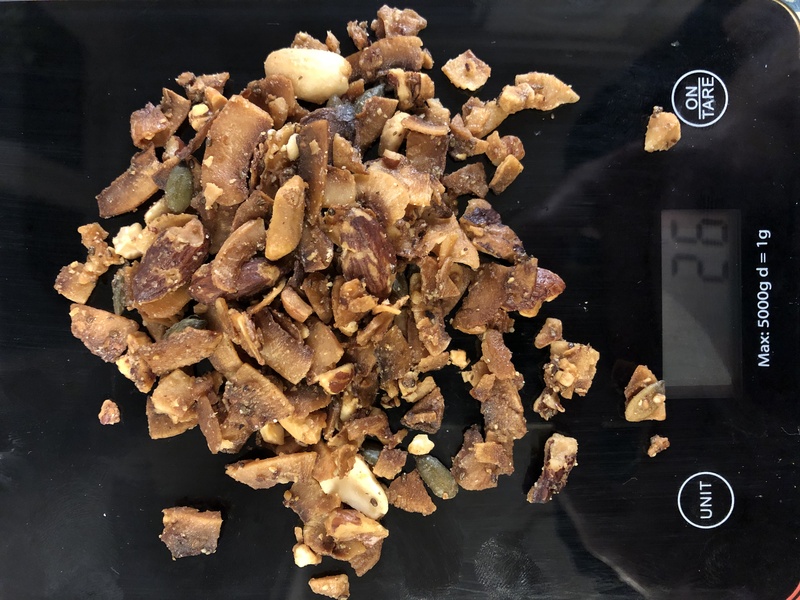 If this fat intake was divided equally between breakfast, lunch and dinner you would be aiming for around about 18g of fat for breakfast, or 26g of granola. Now that’s not a lot of granola to start eating into your fats for the day BUT it is freaking delicious! OMG, it is soooo good. I am never making it again. It is straight on my hedonic food list, I keep going back for another spoonful. But rather than just eating out of the jar, let’s think about ways we can use this jar of loveliness for good! ….. or just keep eating it straight outta the jar! Personally, I can’t wait for breakfast! P.s. 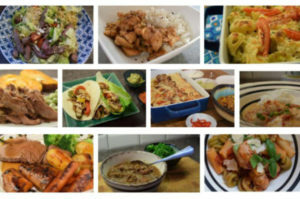 I am not sure if I have started a dangerous precedent of having to make all the recipes the group now post. 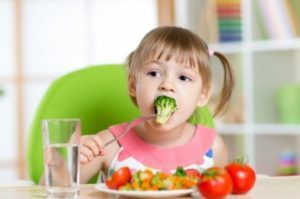 My list of more than 50 family Meals: Find something for even the fussiest of kids!